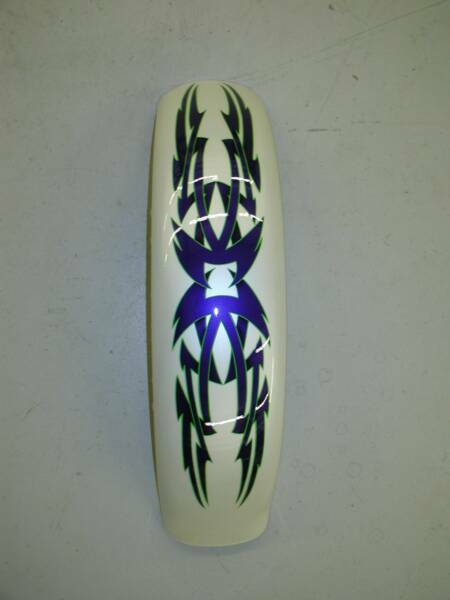 Award winning finishes are nothing new at Spikes,We been doing this for over 30 years,and doing it well.Candy Apples,Pearls,Flakes and Chameleon colors are some of the finest finishes the industry has to offer and nothing compares to them.Mix that with a set of flames or a cool graphic design or if you have something else in mind we can do that to.. 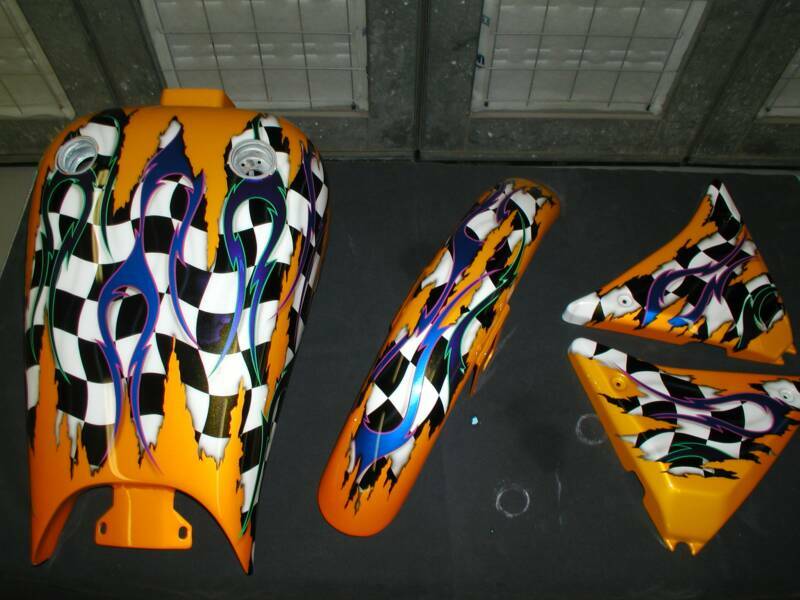 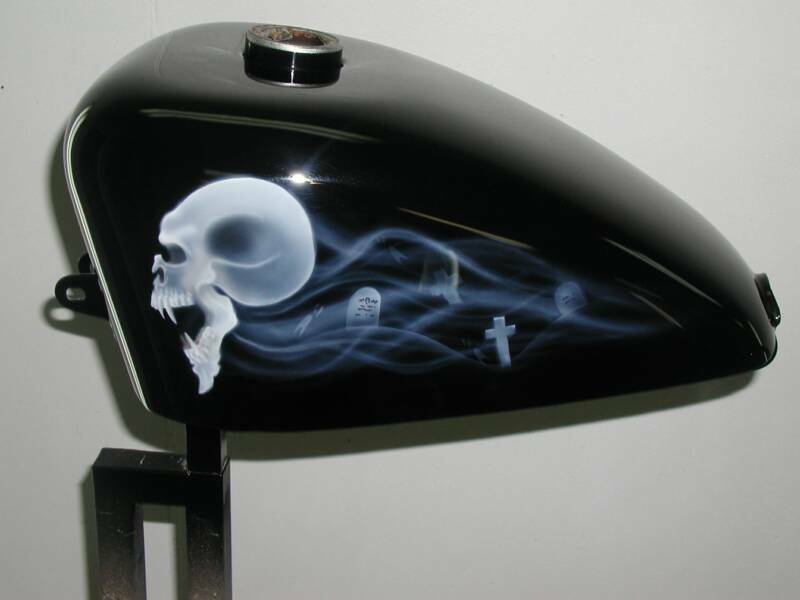 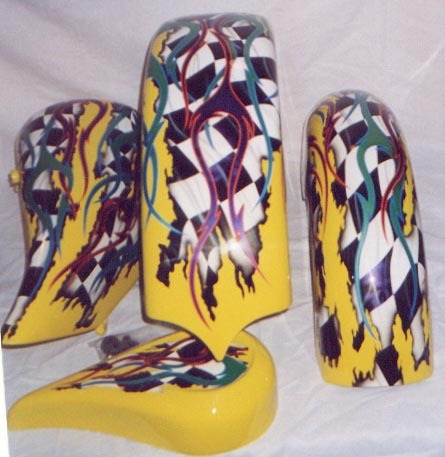 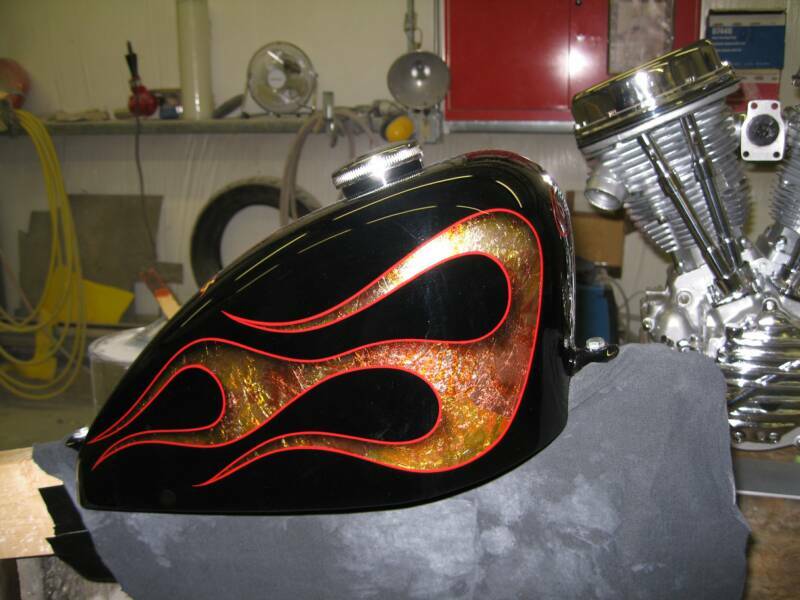 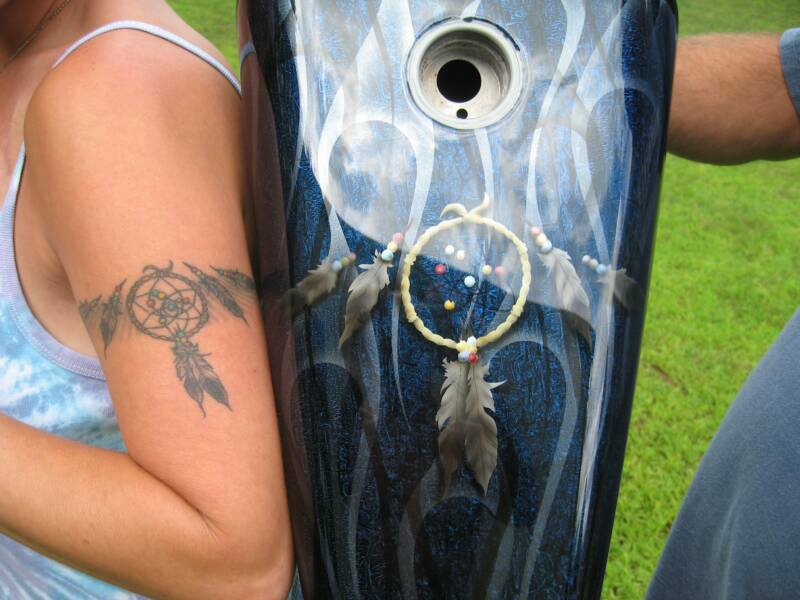 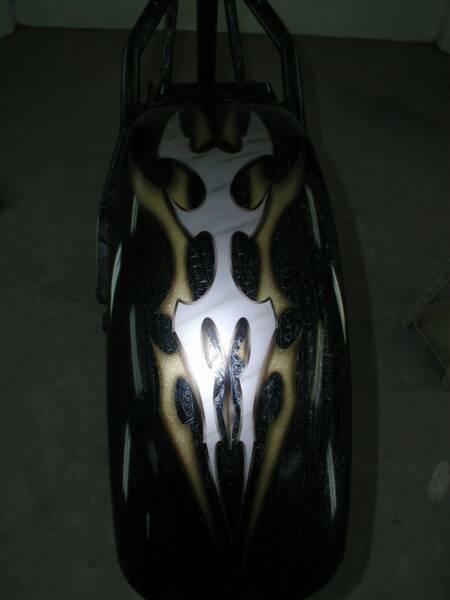 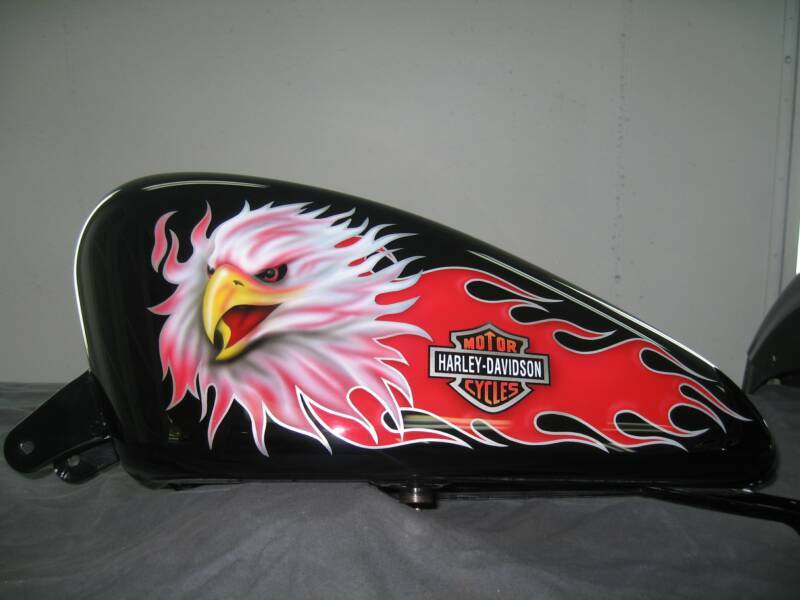 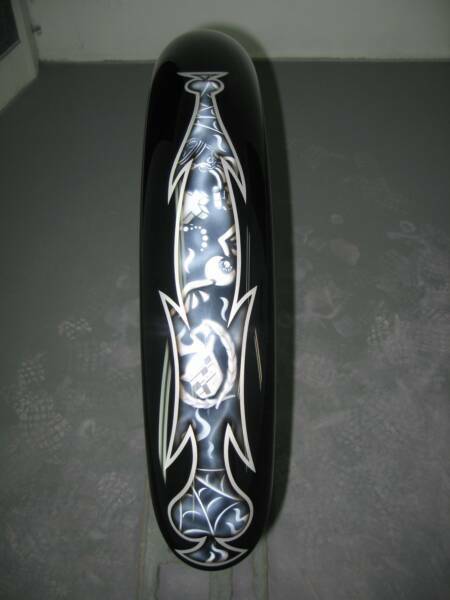 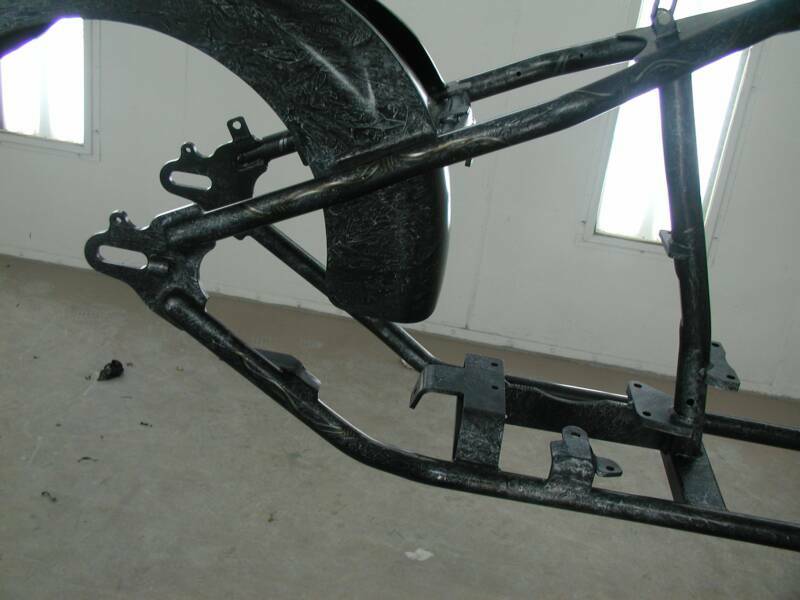 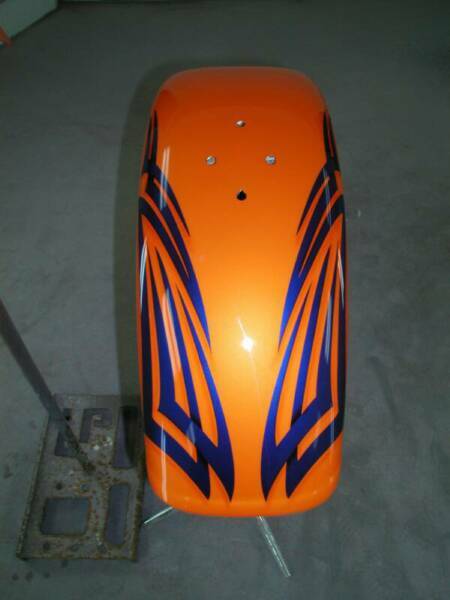 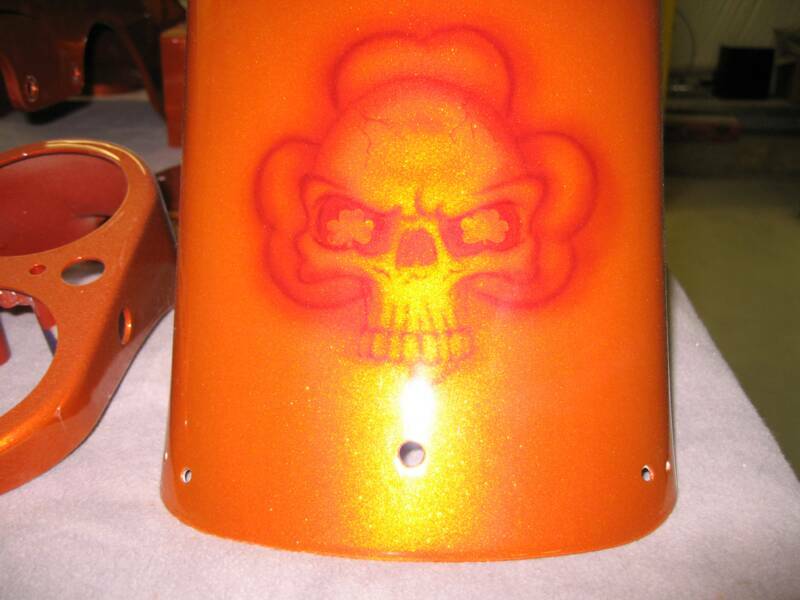 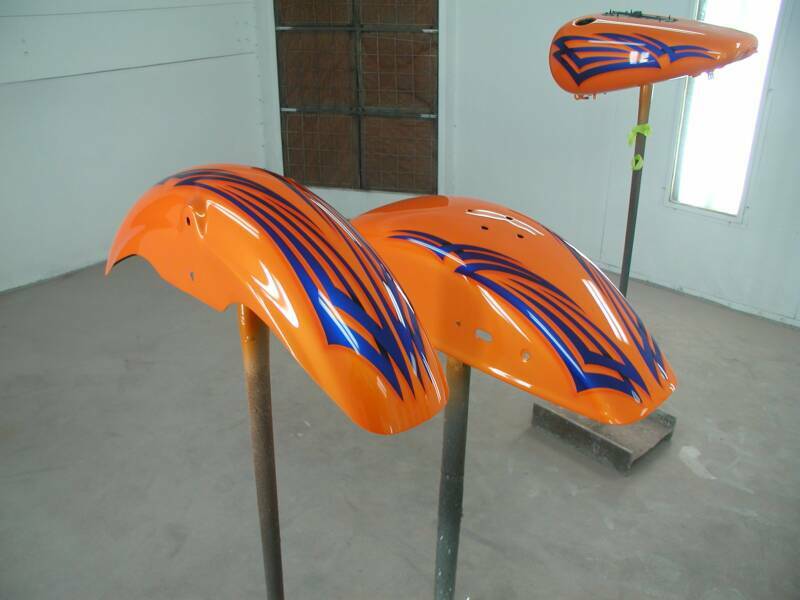 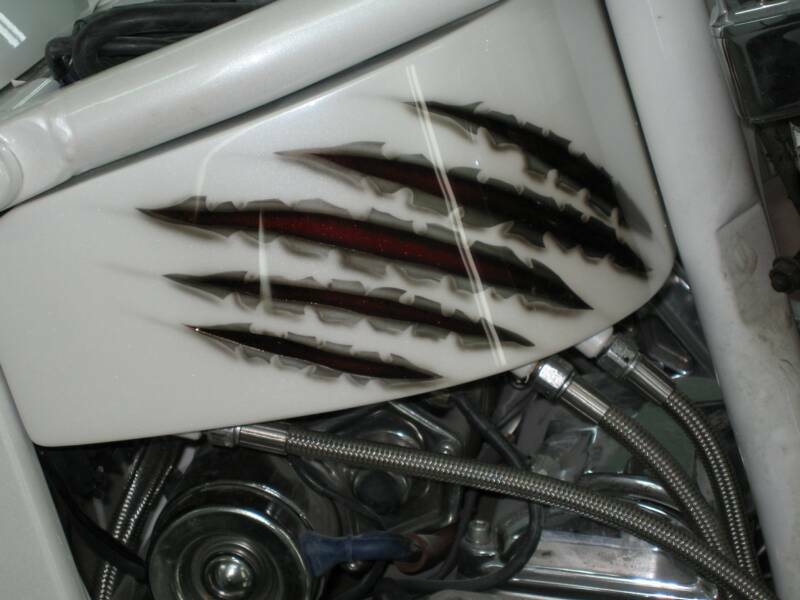 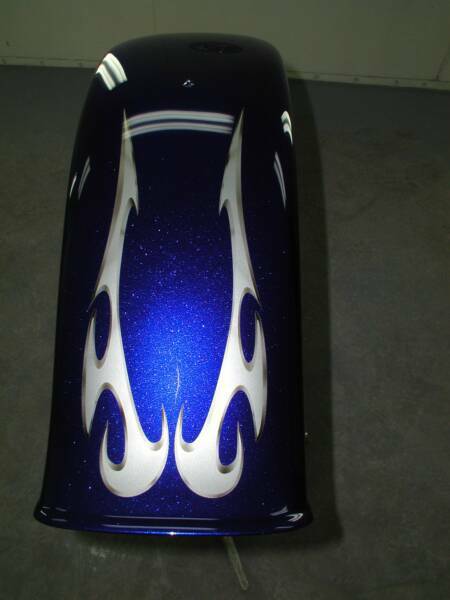 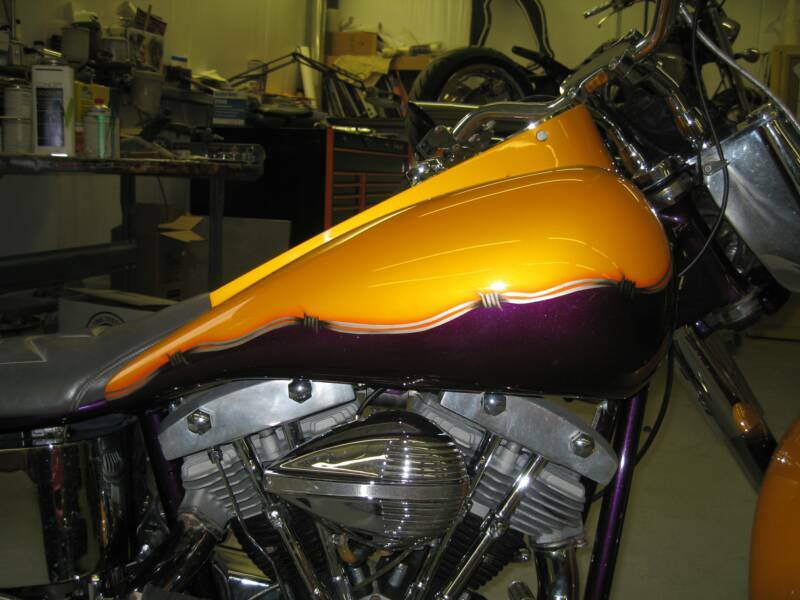 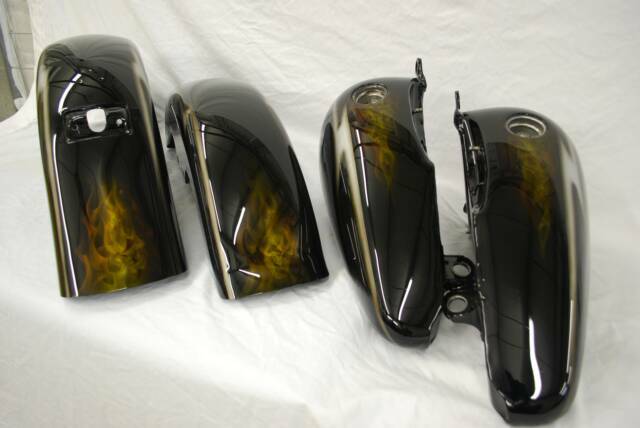 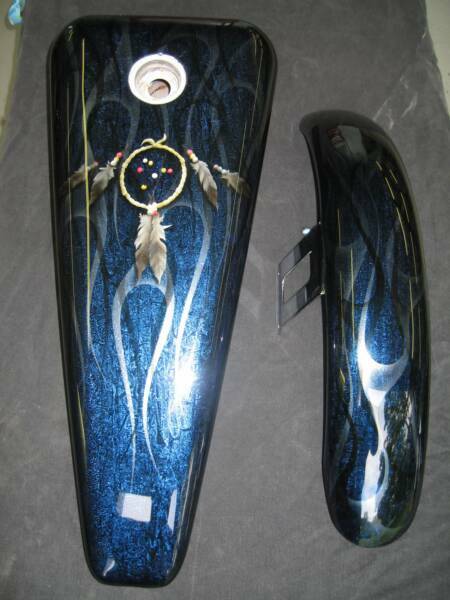 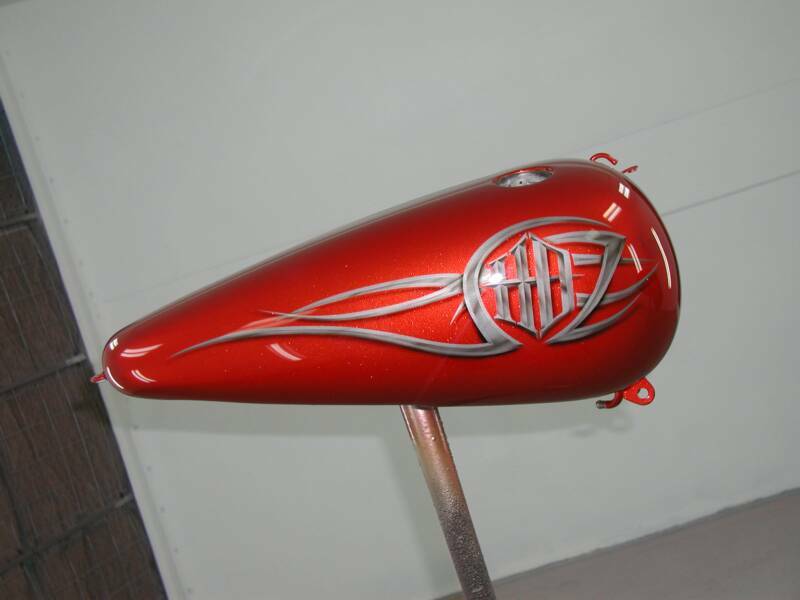 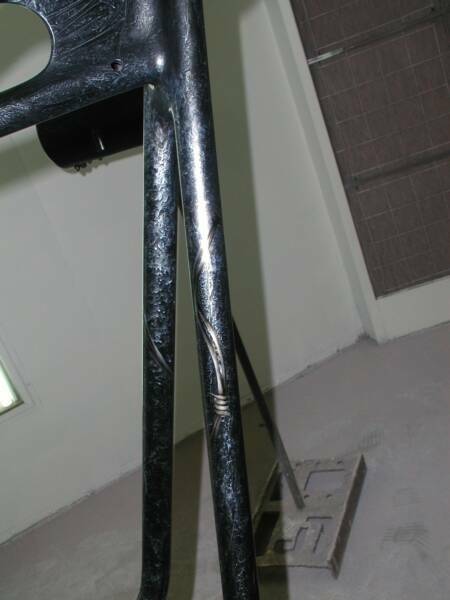 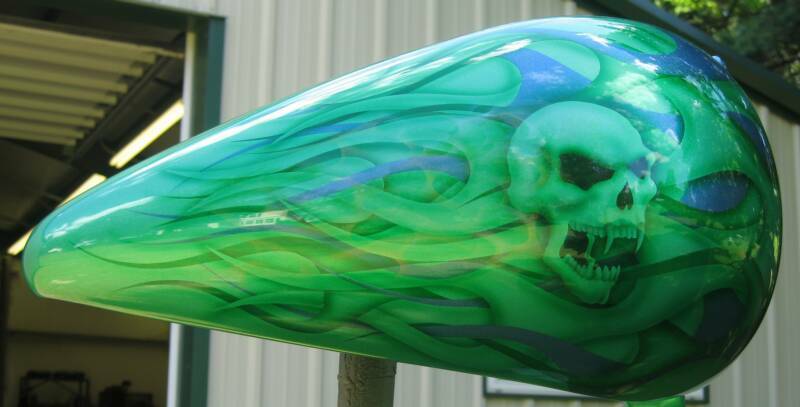 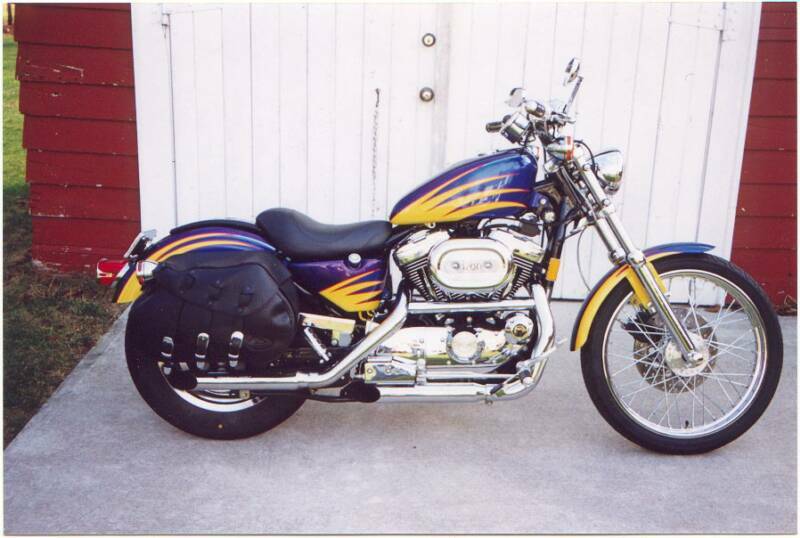 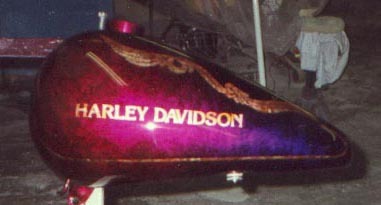 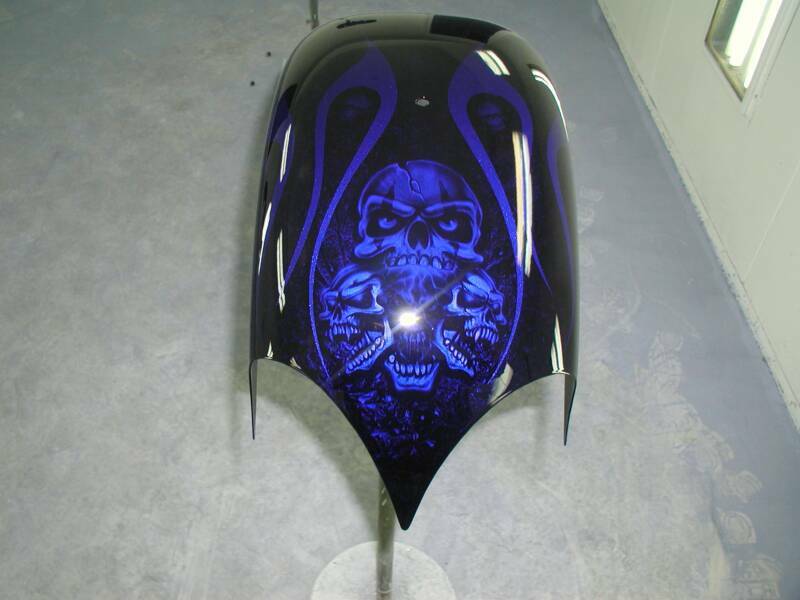 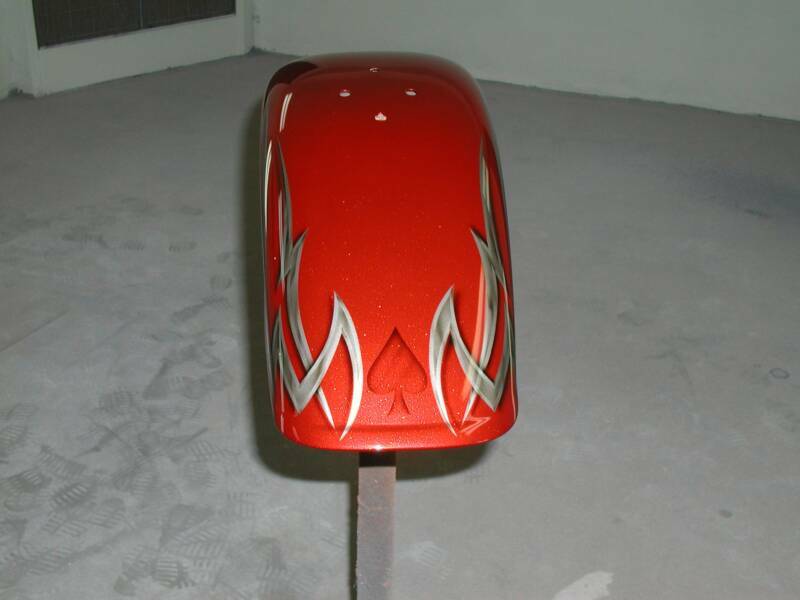 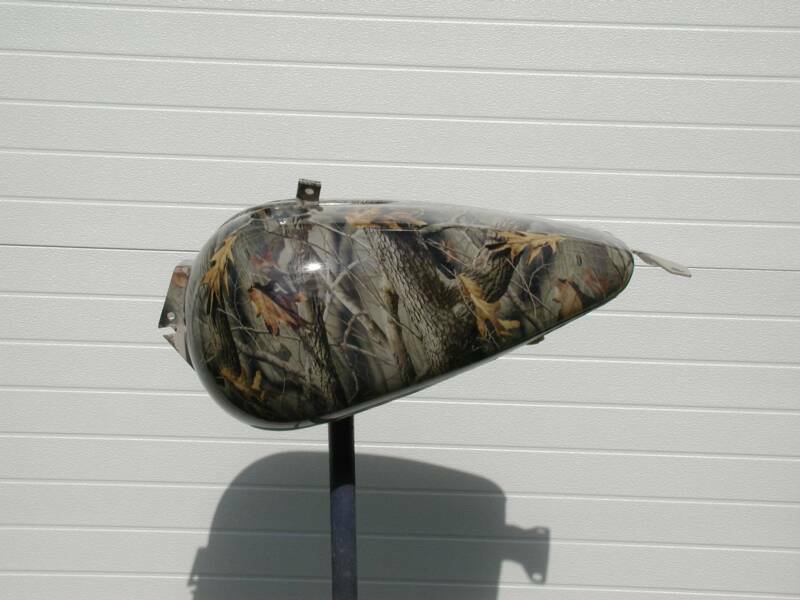 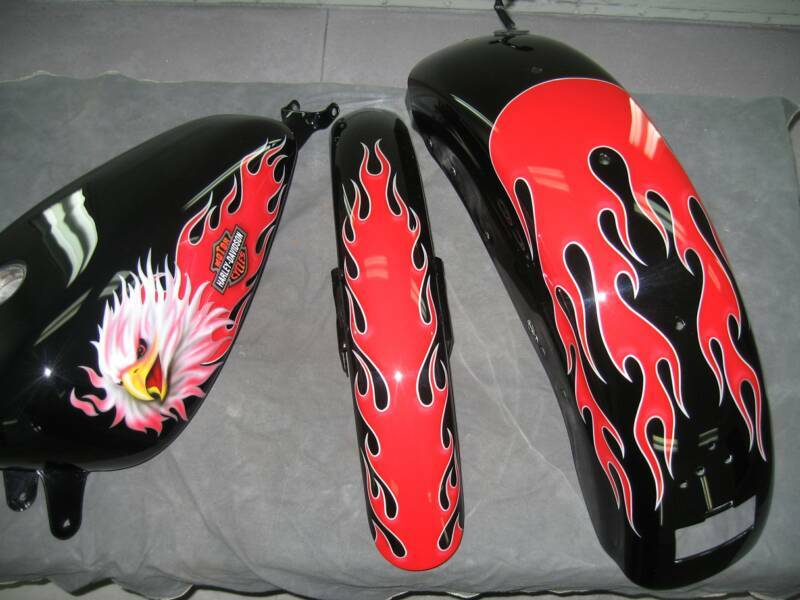 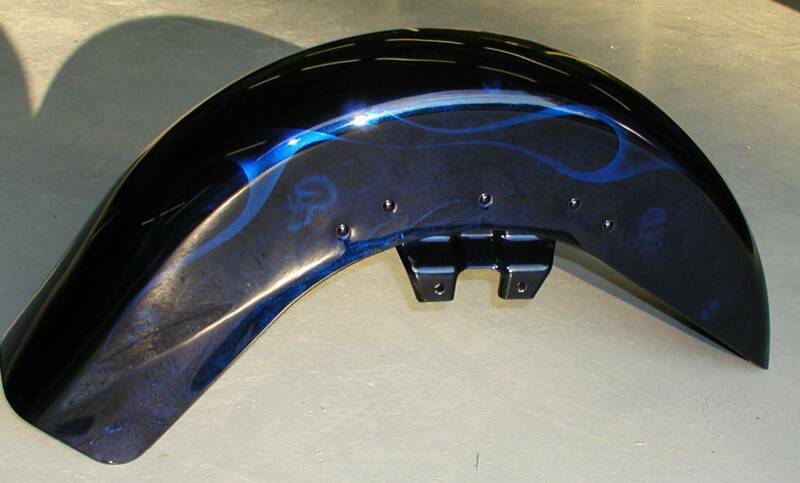 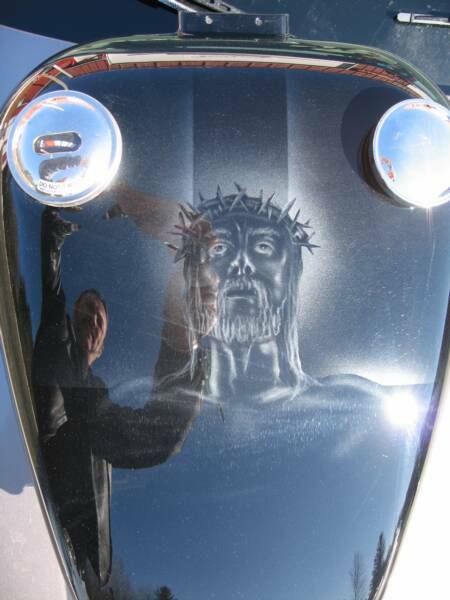 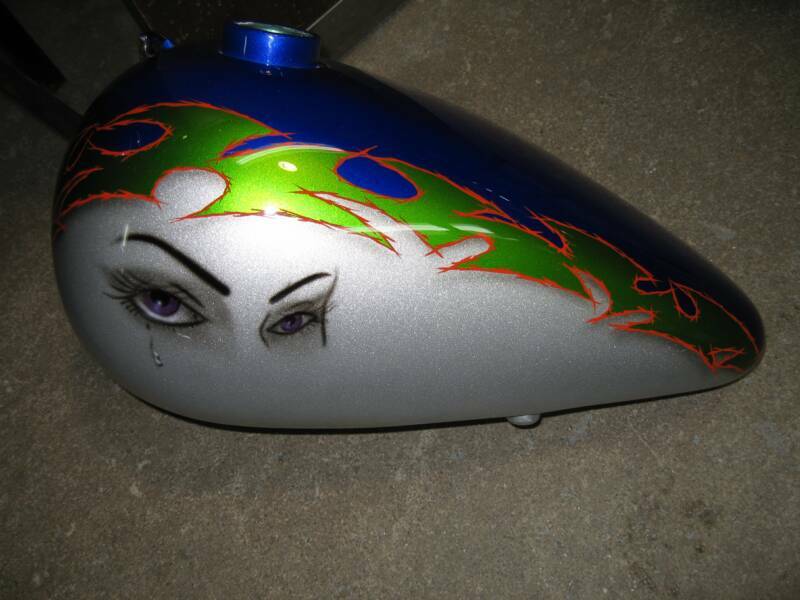 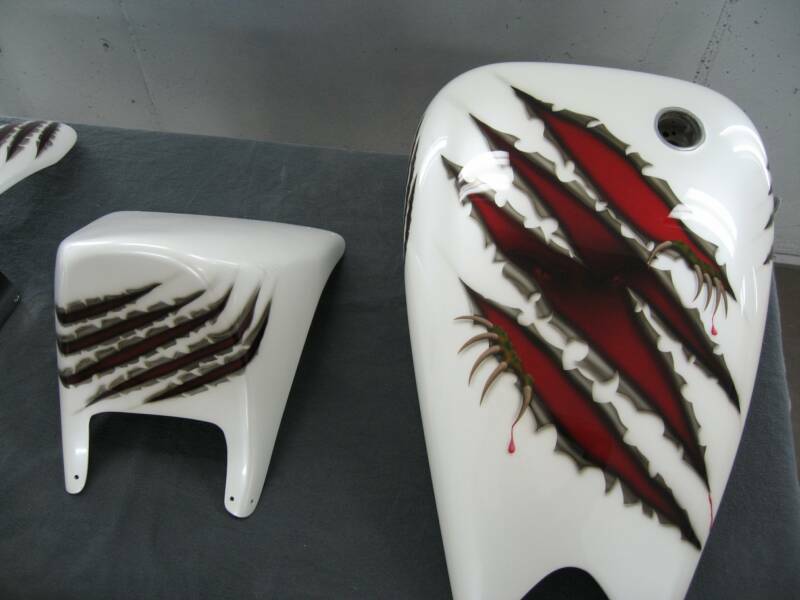 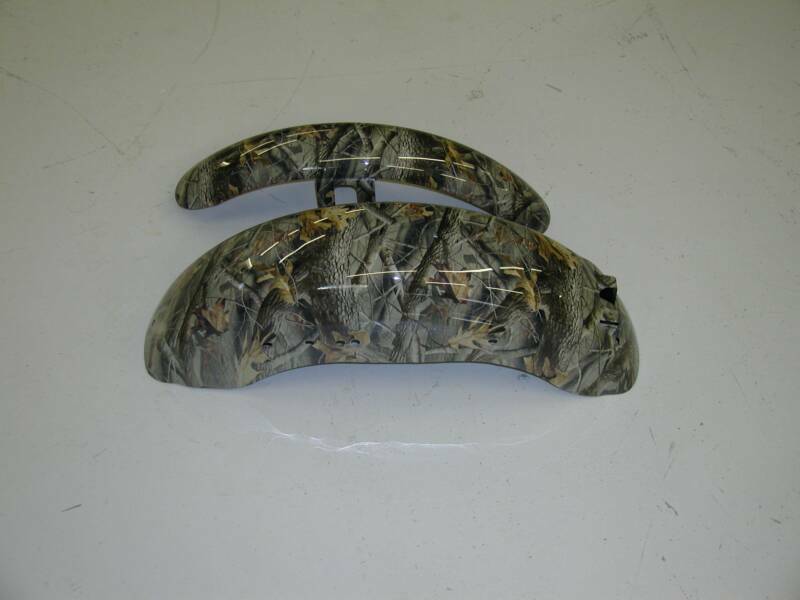 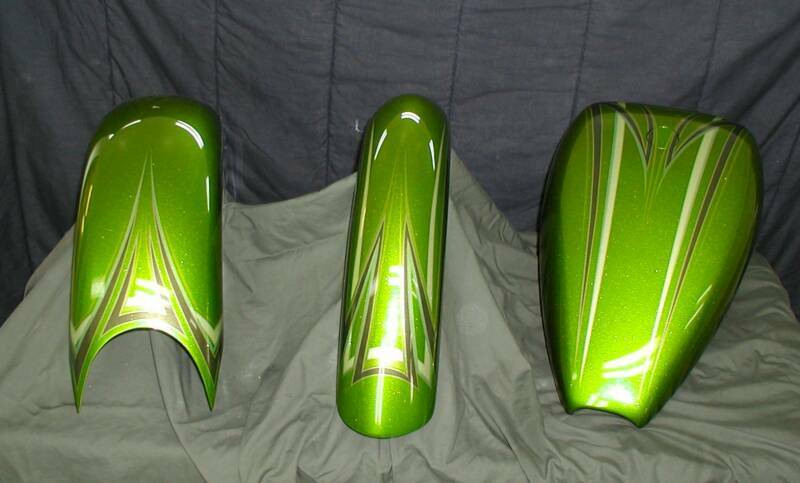 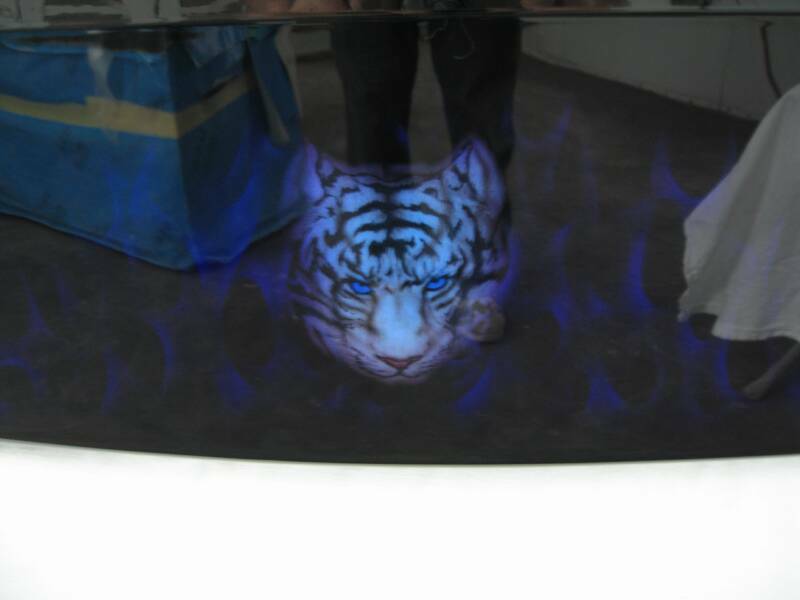 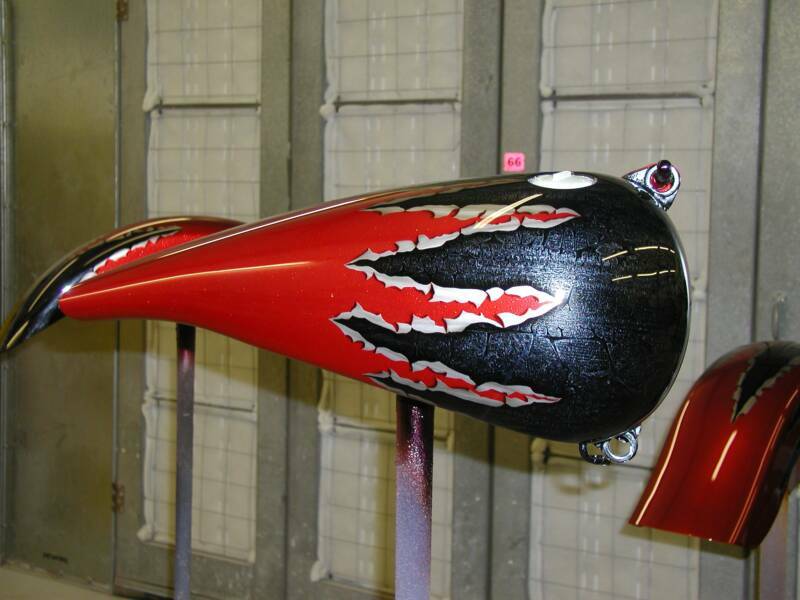 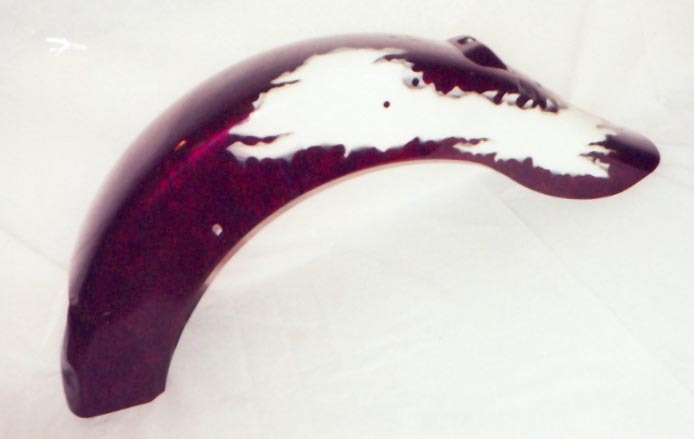 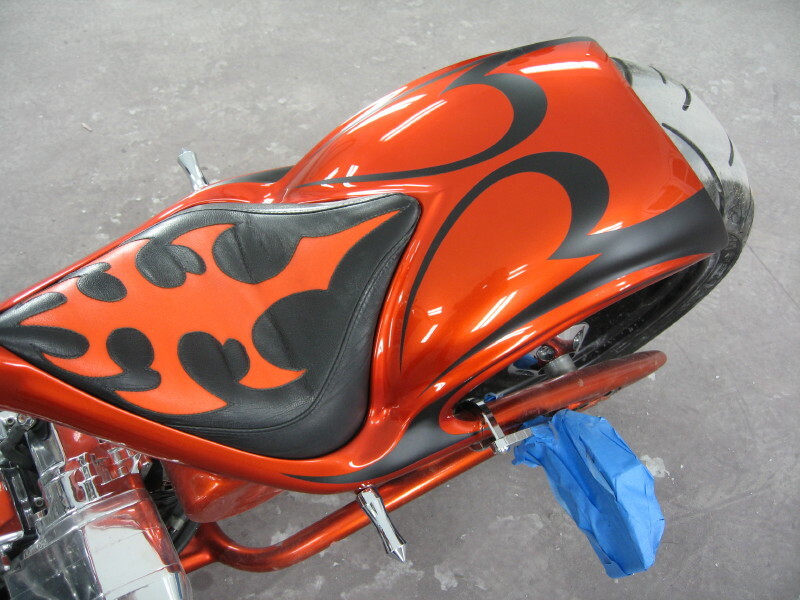 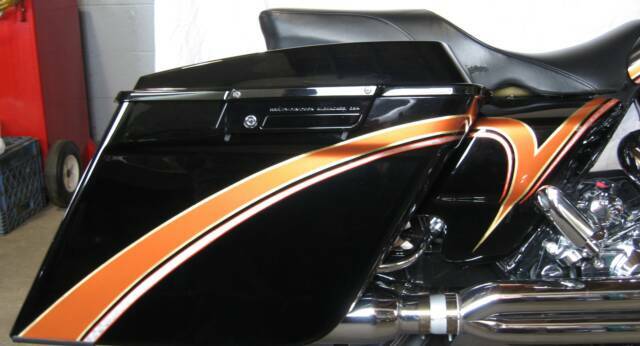 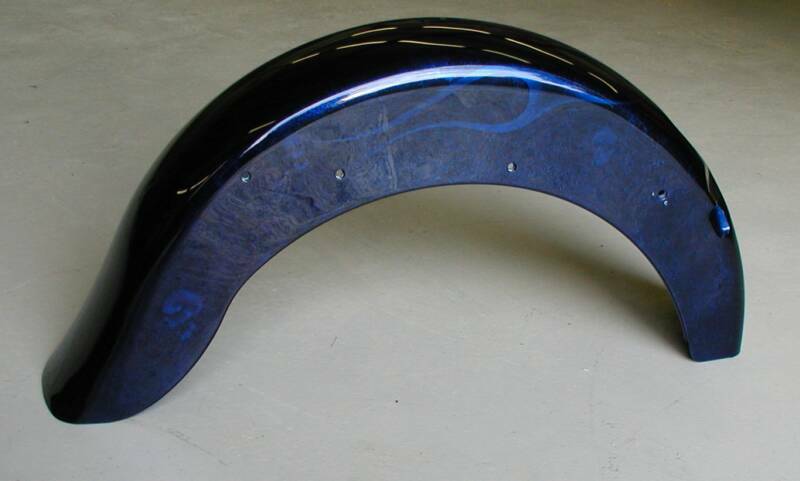 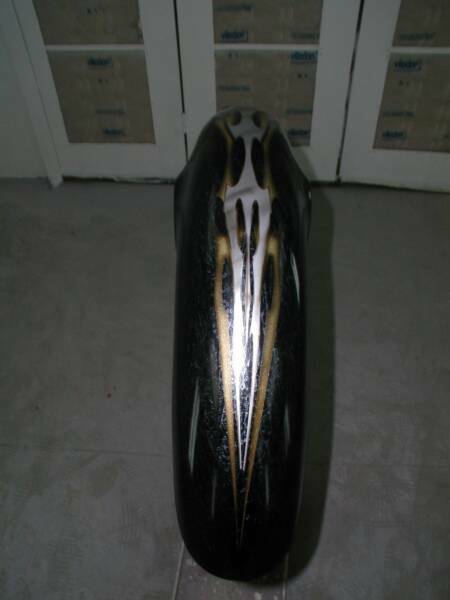 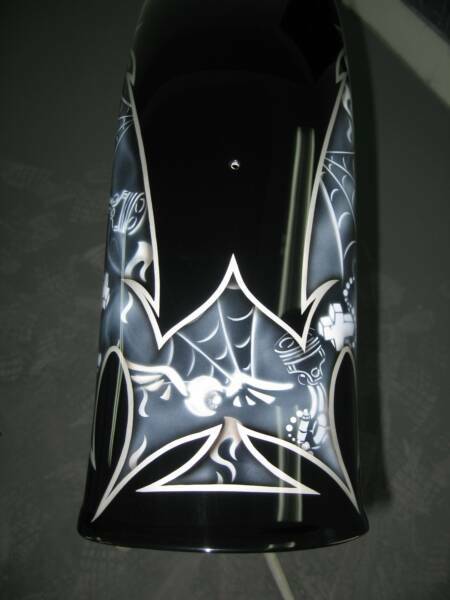 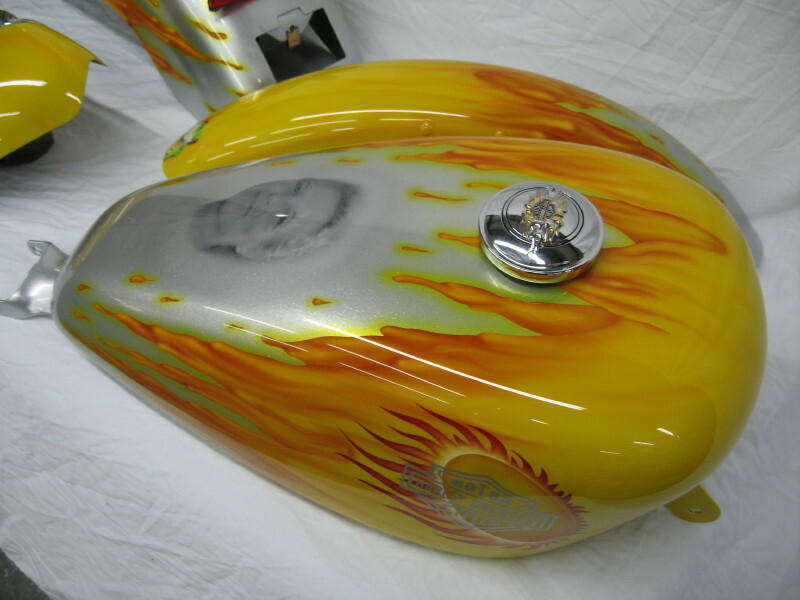 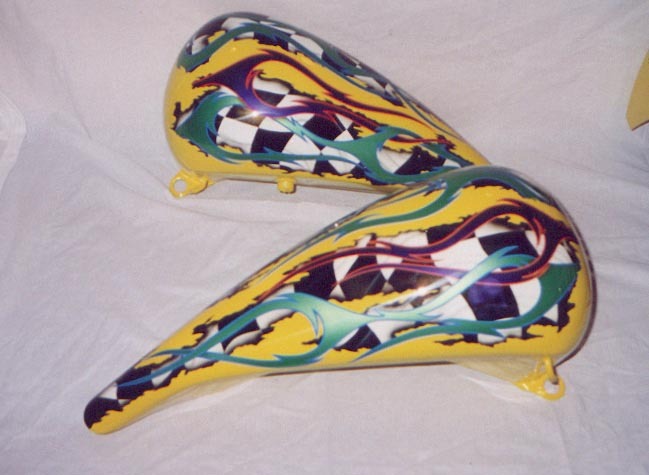 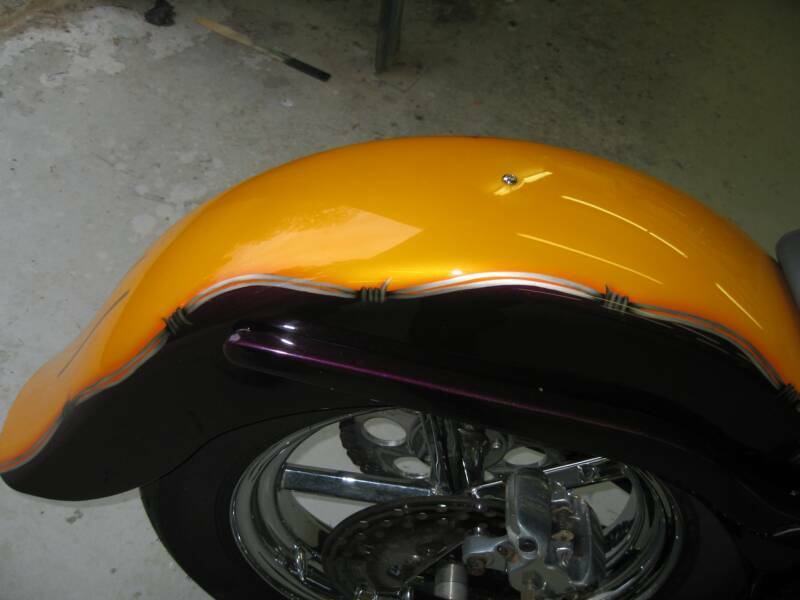 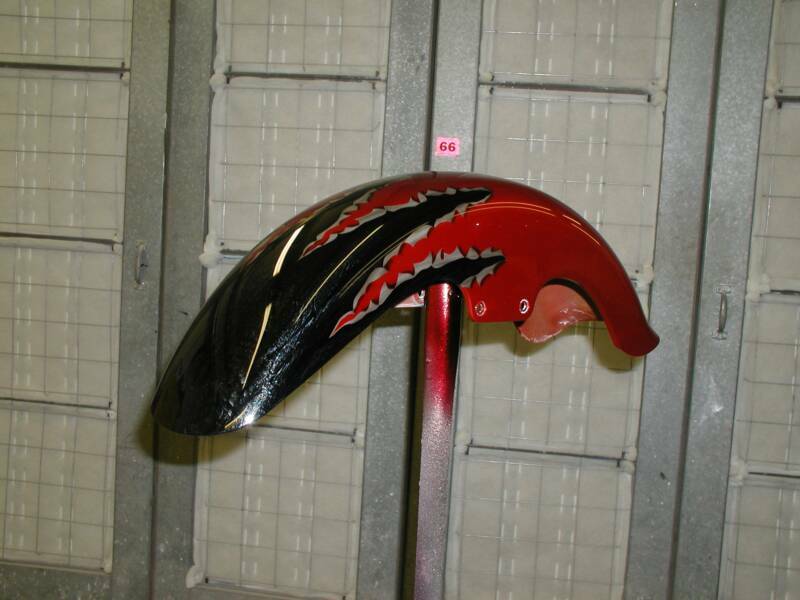 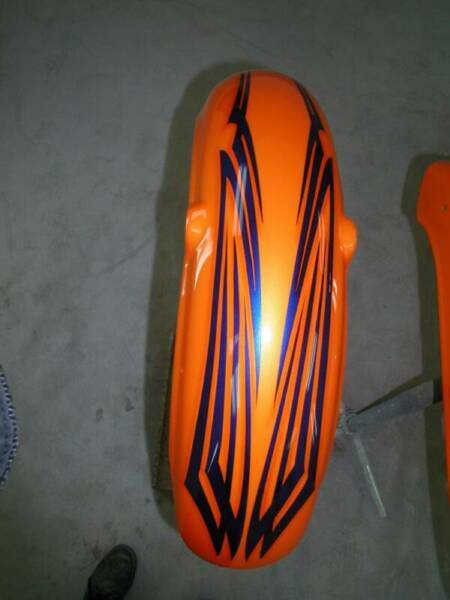 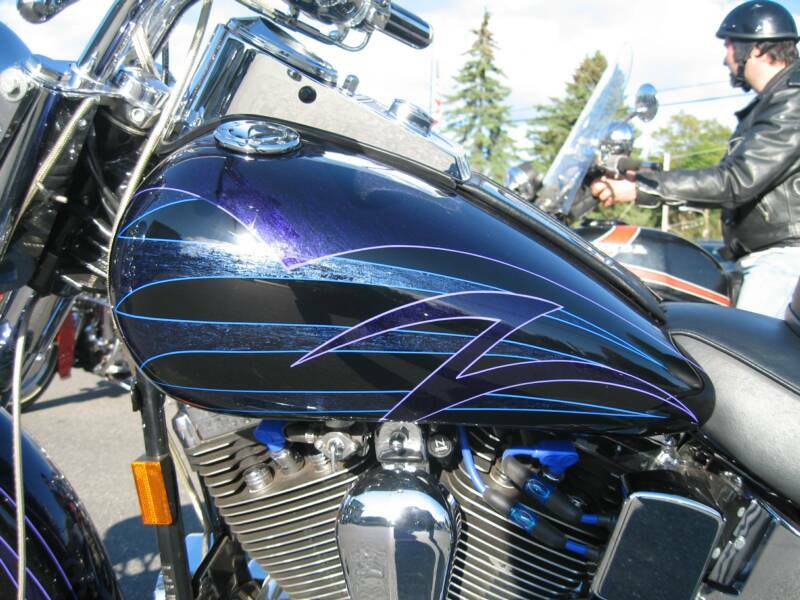 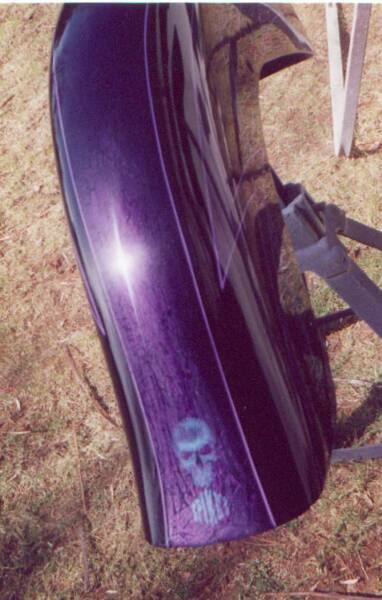 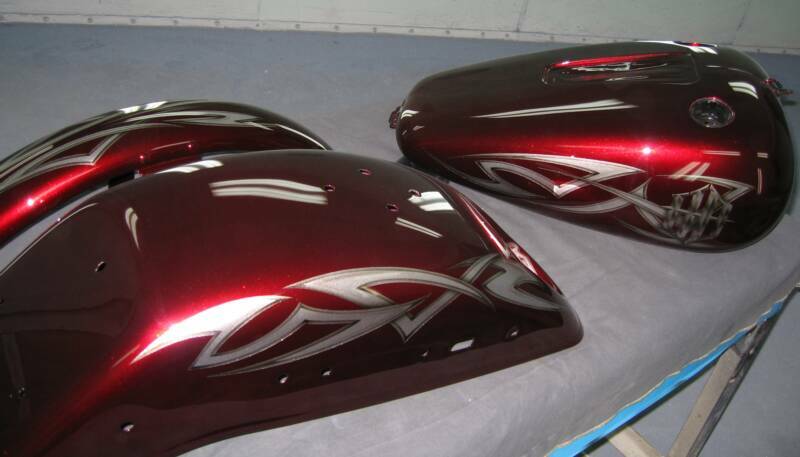 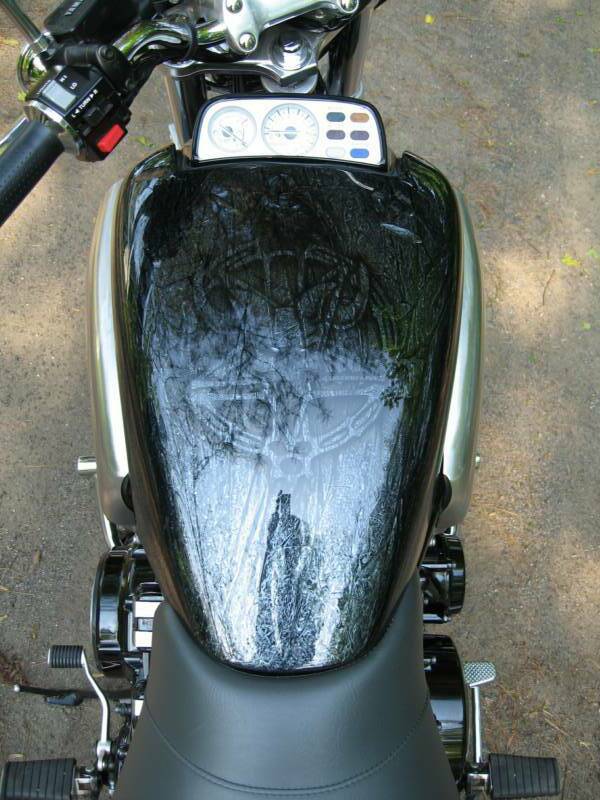 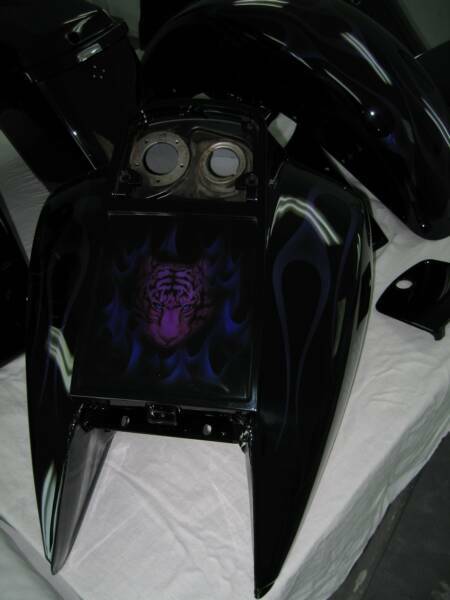 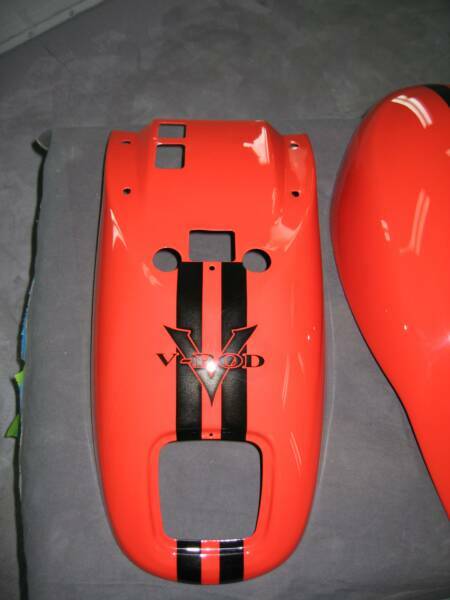 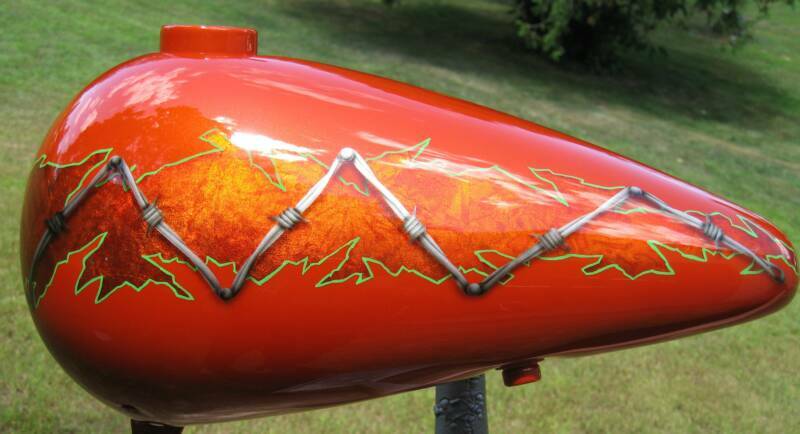 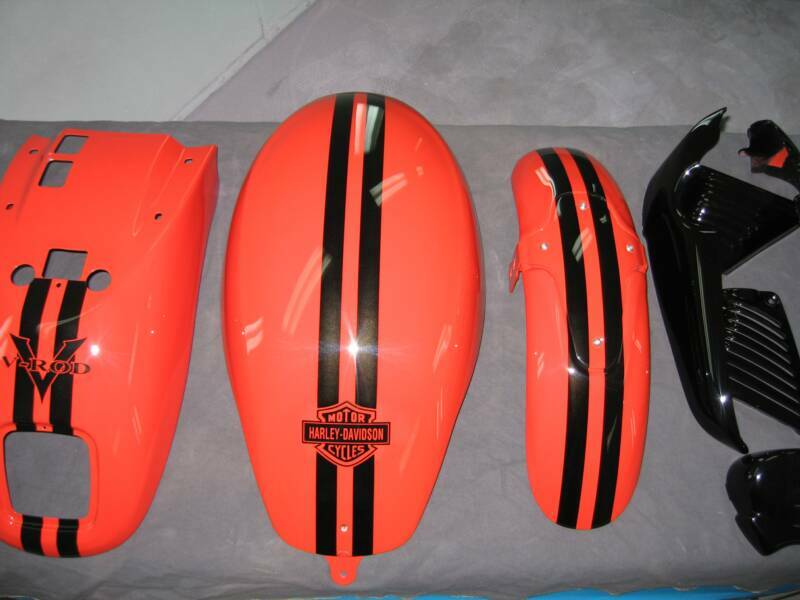 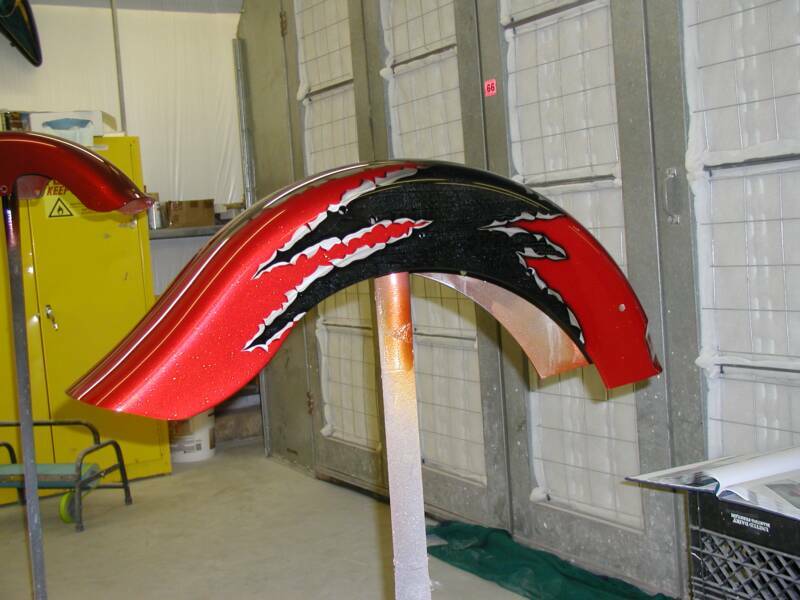 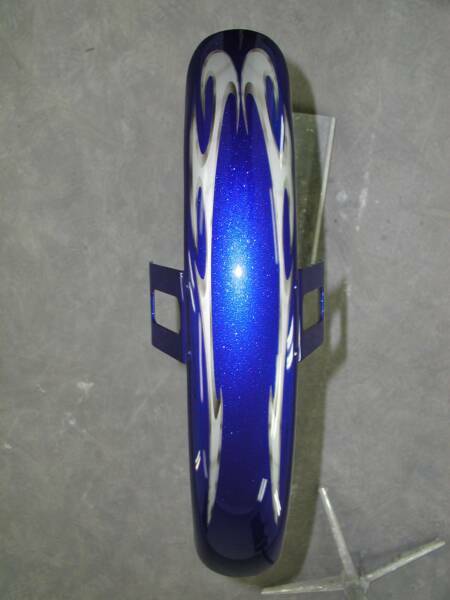 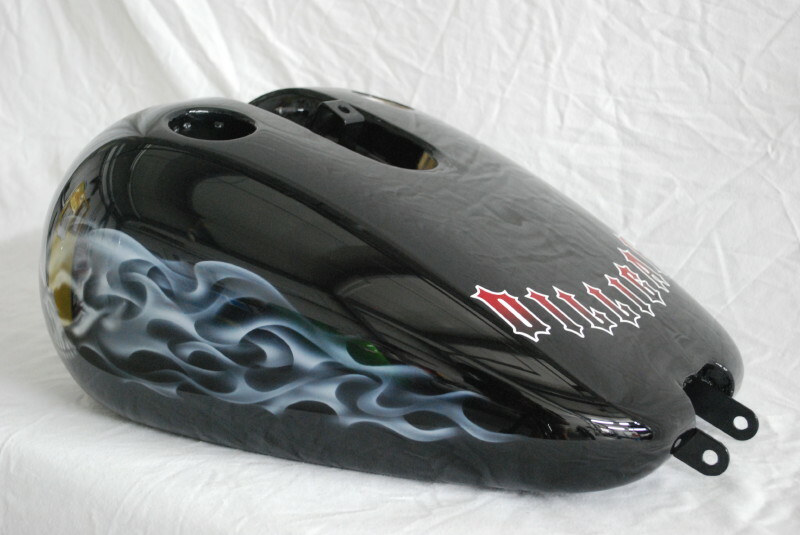 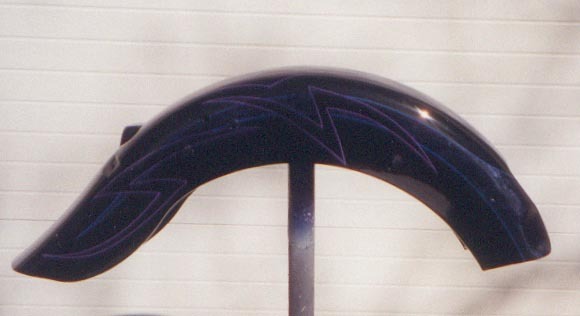 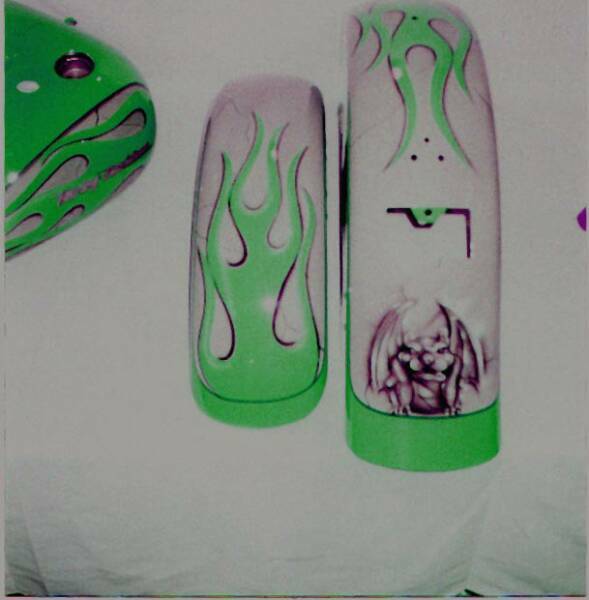 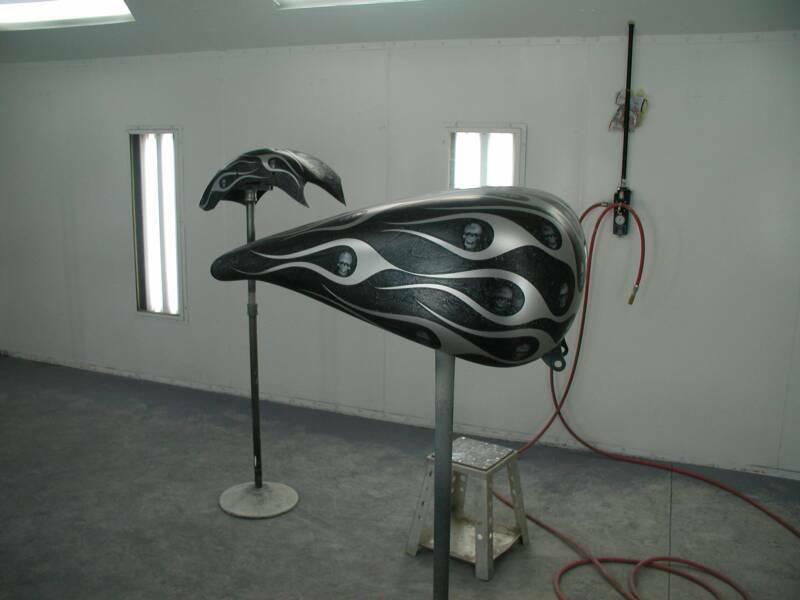 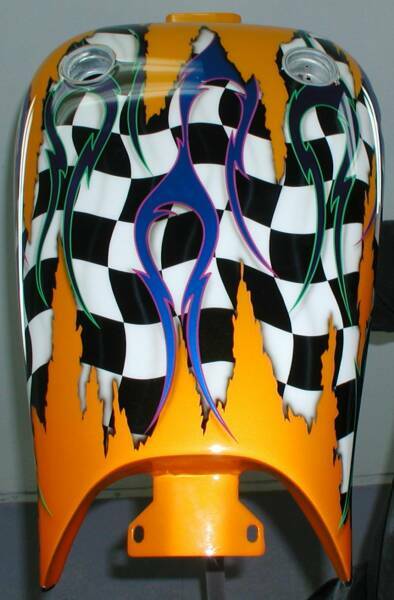 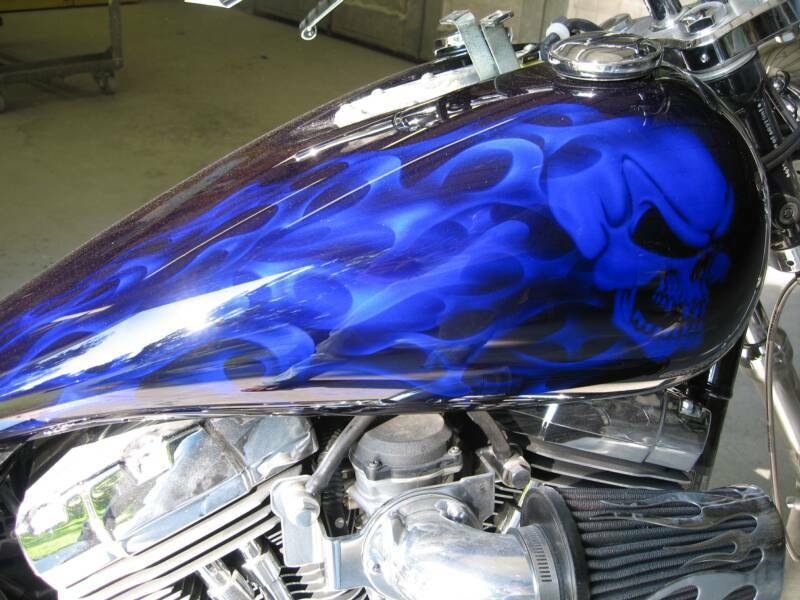 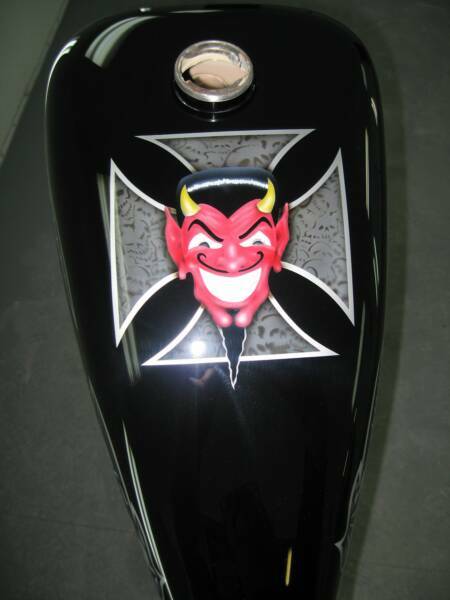 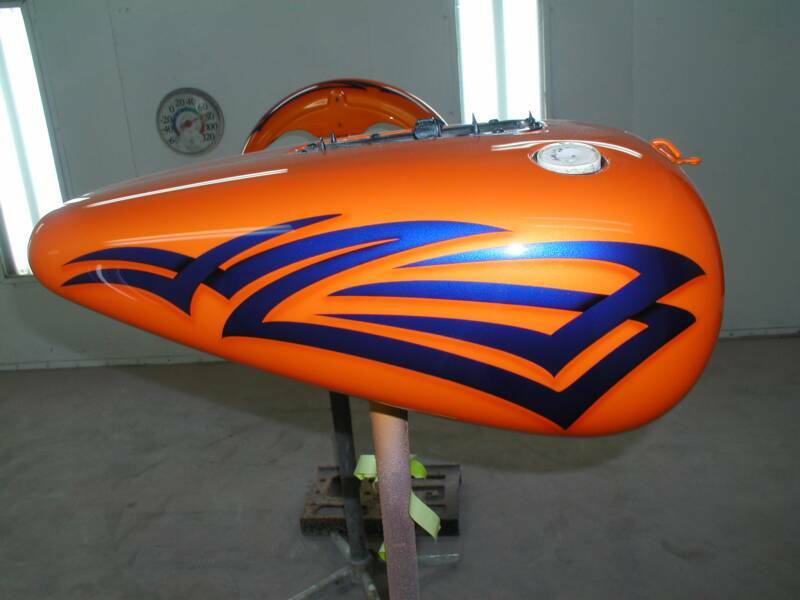 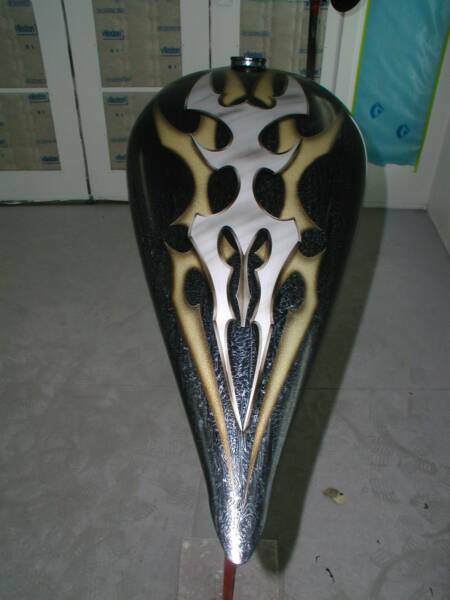 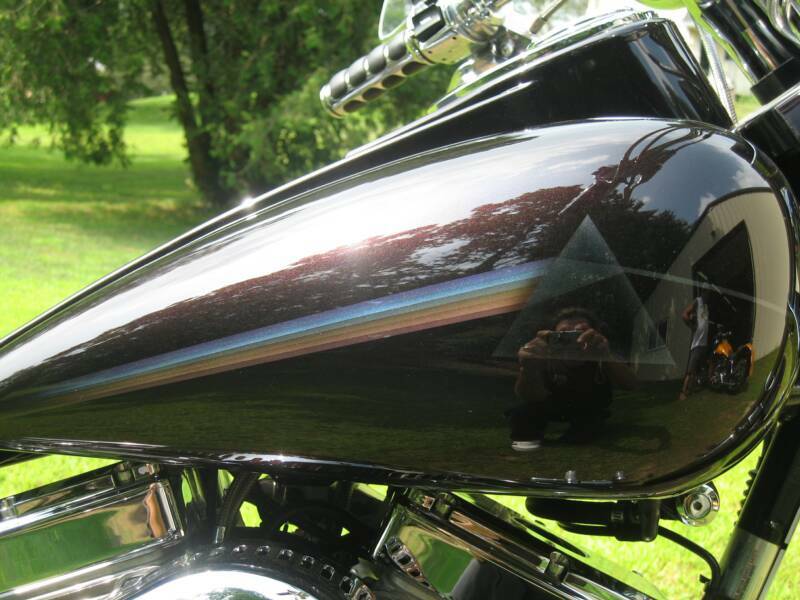 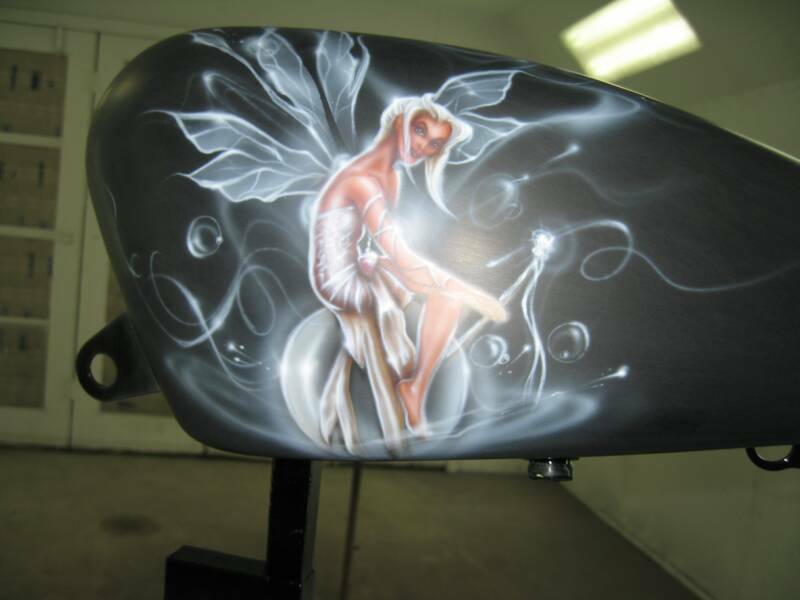 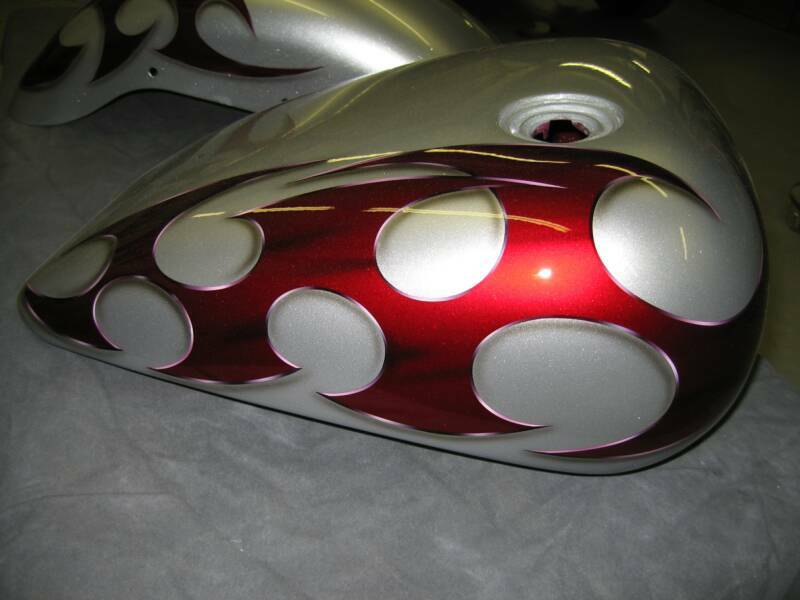 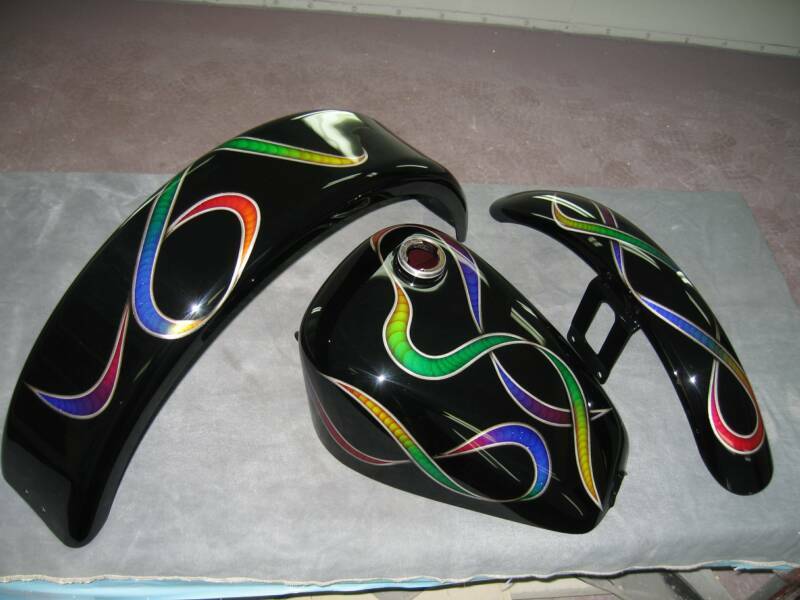 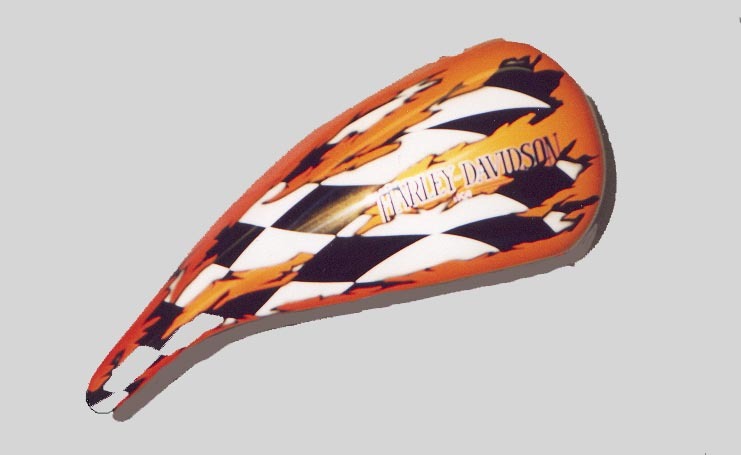 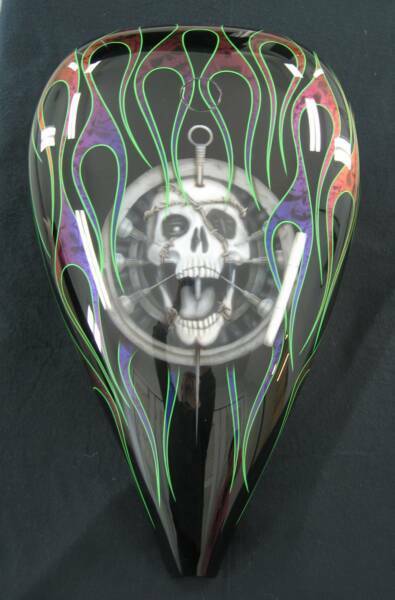 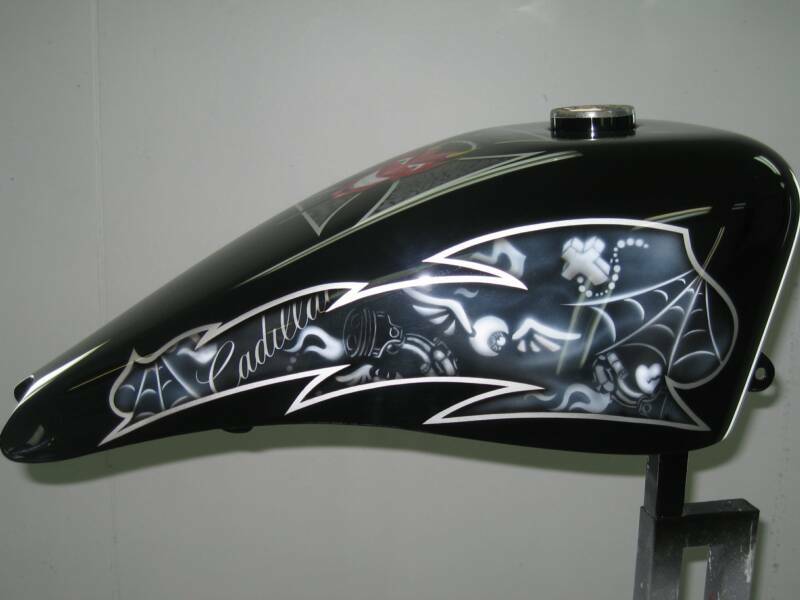 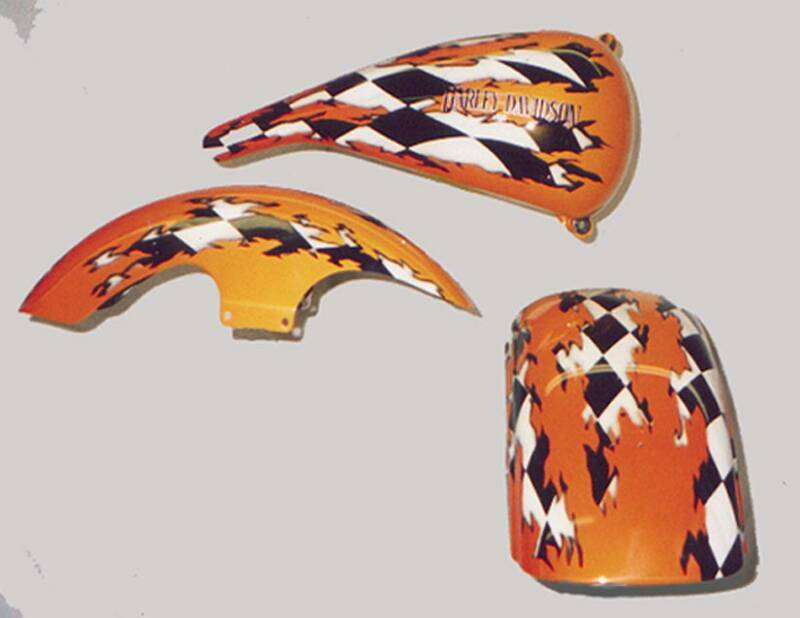 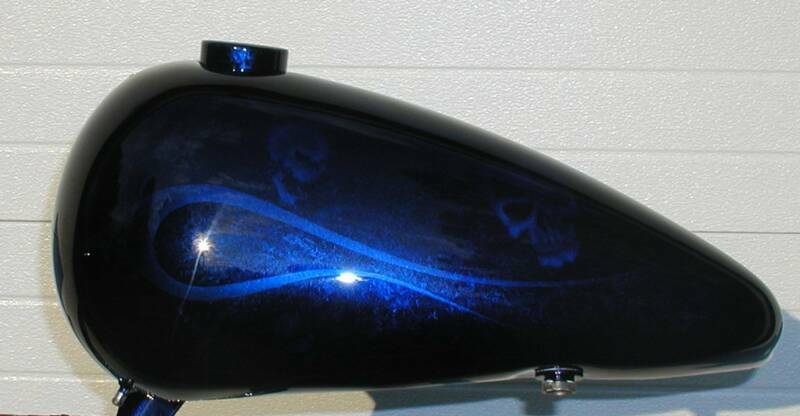 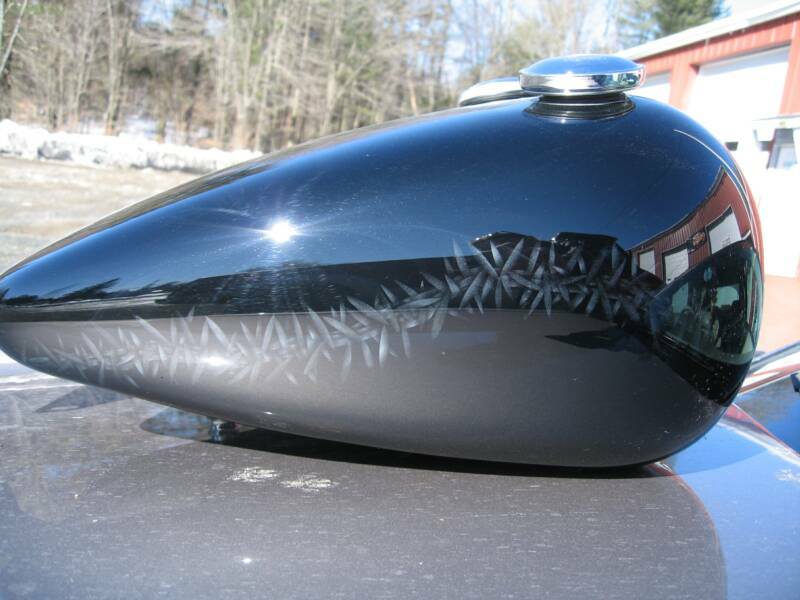 Whether it's a small dent in a stock fender or molding a frame and fabricating sheetmetal, or even a custom ground up build,then covering it all in a smooth,glossy finish. 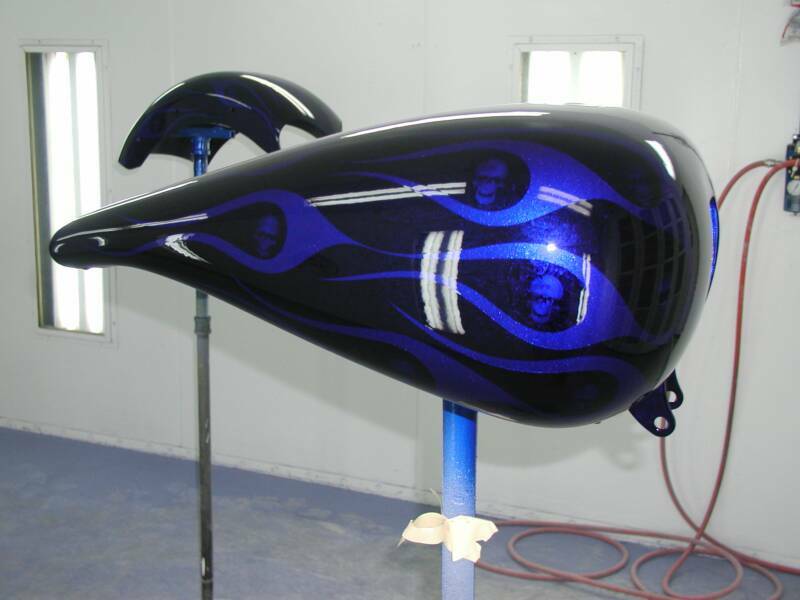 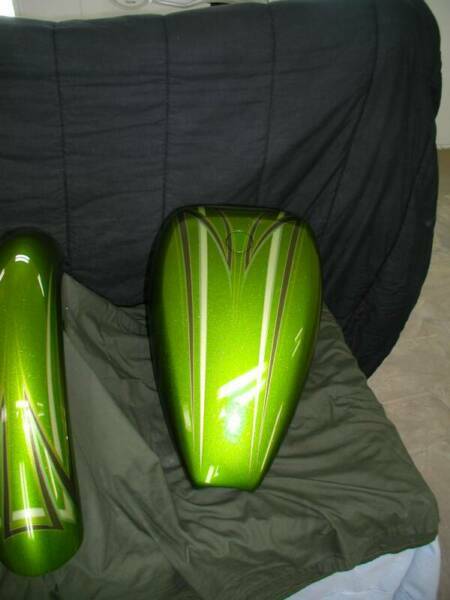 The best material's are used to give you a long lasting,easy to maintain paint job that will still look good ,long after you get tired of it.